Free Two Man delivery to the room of your choice! 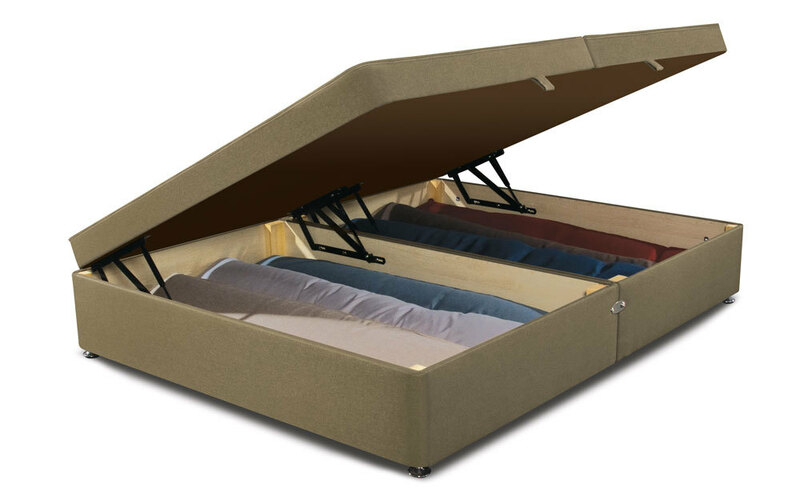 With skillful craftsmanship and environmentally friendly manufacturing, the Backcare Luxury 1400 Divan lets you love the world as well as your purse with unbelievable comfort and support! 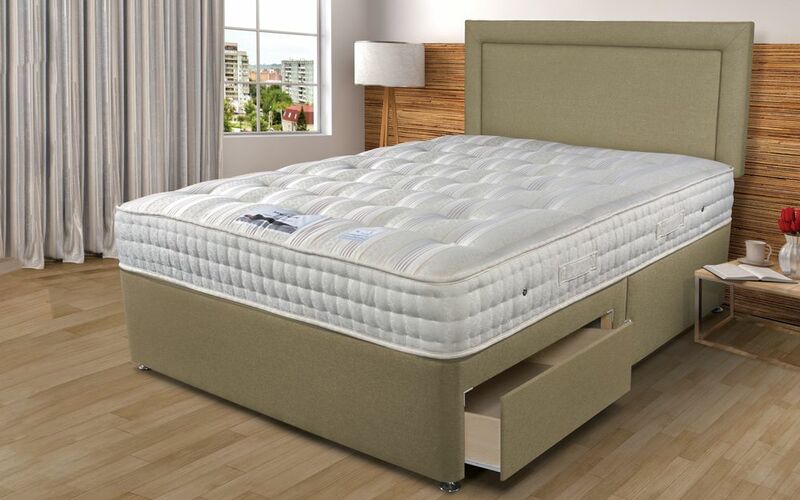 Featuring a supportive 1400 individually pocketed springs, this mattress is ergonomically structured to provide your back with the care you deserve. 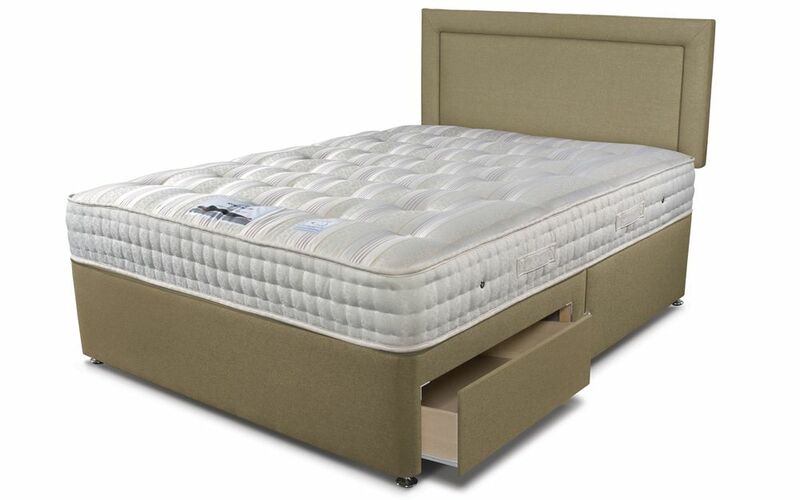 The firm level of support is further enhanced by the supportive 14-inch platform top divan base for those who enjoy high levels of support. A traditional Belgian damask cover adds a touch of elegance, encasing the indulgent natural wool and silk fillings to offer plush comfort for a blissful night's sleep. 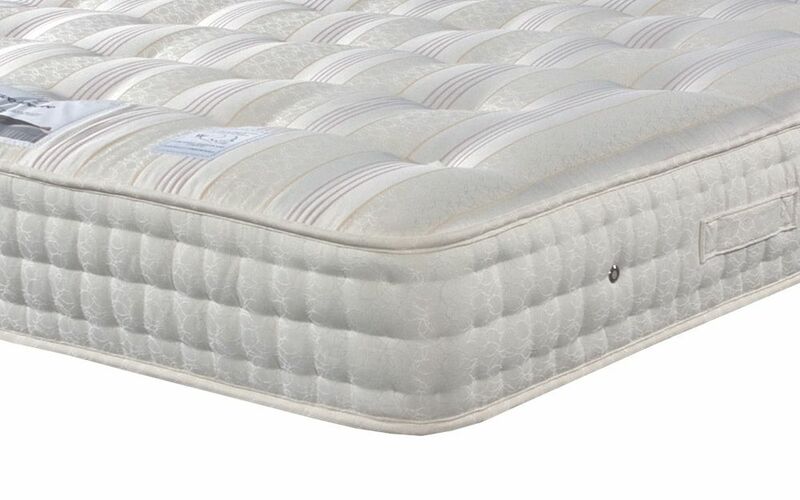 Three rows of side stitching and expert hand tufting ensure that those cosy fillings are secured in place for enhanced durability. The chrome-finished air vents offer improved ventilation for a fresher night's sleep. 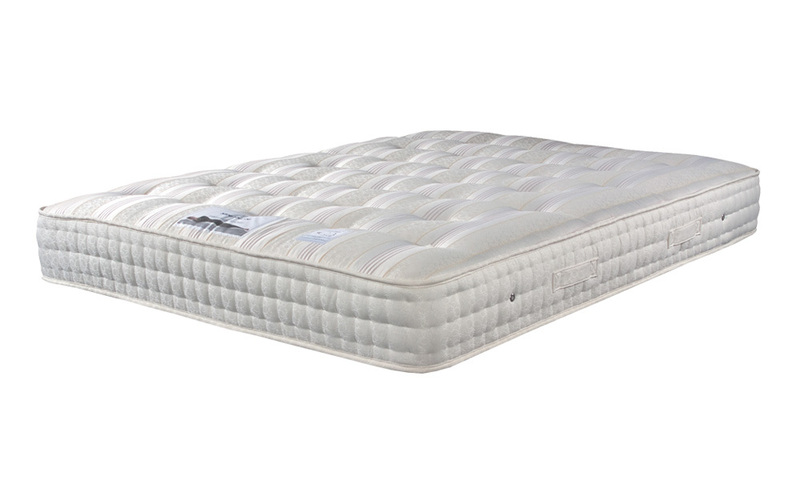 This easy care mattress is no-flip for your convenience - simply rotate for a great night's sleep, night after night. 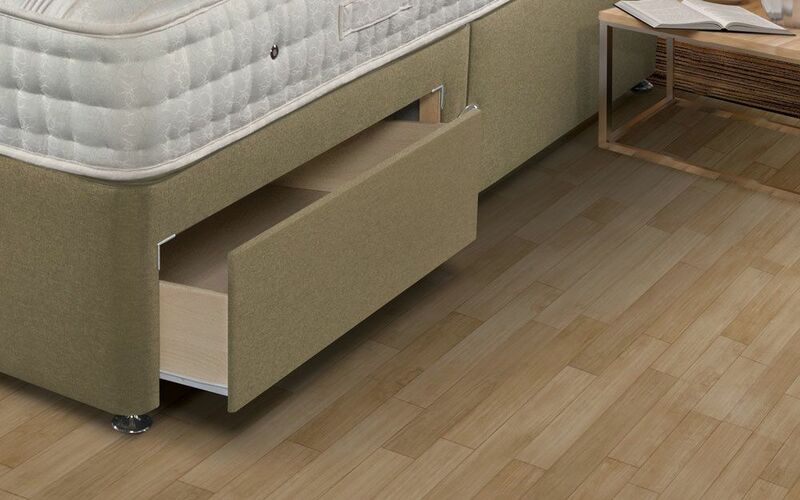 Choose from a great range of storage options and a matching headboard to suit you. Select the perfect base colour to complement your decor - the Backcare Luxury is pictured with a cream base.